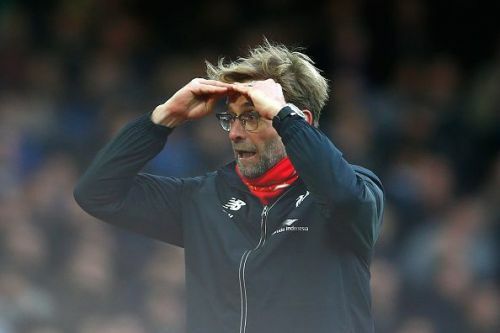 Jurgen, which player are you looking at? The transfer window might have closed more than a month ago, but the rumour mill never stops churning transfer speculation. Liverpool were pretty active in the January transfer window and expect the same again come winter. Will it though? The player they are after, according to reports, is Stoke City custodian Jack Butland. The Potters are in the relegation zone and could stay there for another week considering they're facing an in-form Manchester City later tonight. If they do go down, we could see quite a few of the better players leave the club. Now, there aren't too many world class players at the club, though the British media have been pretty wax-lyrical about Butland, he still has to improve. Butland will supposedly cost the club £40million, which is quite a lot of money for someone who has done a decent job at a lower-table club. The problem is, however, Loris Karius is doing a fine job for the Reds. Liverpool were beaten 2-1 by Manchester United, but Karisu wasn't really at fault for either of those. Do they really need to spend £40m on Butland? Not really. A midfield with Luka Modric? Though Modric is now 32 he is still one of the best midfielders in the La Liga if not the best. The Croatian is contracted to Madrid until 2020 but Diario Gol, via the LiverpoolEcho, claim that Liverpool are interested in his services after he revealed he wanted another shot at the Premier League. Liverpool are yet to tie Emre Can down to a new deal, and though Naby Keita will join this summer, they still need a good central midfielder. Henderson has his merits, but his passing still lets the team down on occasions. Modric would do it at Liverpool, wouldn't he? For a side who like playing free-flowing football, the Croat's presence to control the tempo of the game could be immense. However, despite the speculation, it's pretty unlikely we'll see him moving to Anfield. Why? Madrid have learned it the hard way this season that you just don't get rid of Pepe, Rodriguez and Morata without able replacements. The midfield is arguably their strongest areas, so selling Modric just doesn't make any sense, does it? Why you should always focus on qualifying for the Champions League. Liverpool eased past the group stages and their win over Porto in the round of 16 means they'll receive £50million. £18.5million of the aforementioned figure is said to be from the prize money for the game while around £20million is said to be the TV revenue. The Reds will hope to go even further in the competition and a favourable draw could help them achieve that. They are yet to lose a game in the competition, but considering their relatively weaker defence, the fans will be a bit nervy when it comes to the away goals rule.